"To be sure, Happy Home Designer can be played without any Amiibo cards." It's safe to say that fan reaction has been rather mixed towards the amiibo-centric focus of the two upcoming Animal Crossing games for Wii U and 3DS. While it's far too early to definitively judge the quality of these upcoming games, it's very apparent that these new games will be rather different than their predecessors. In an effort to get a better idea of what these games will play like, VentureBeat caught up with Aya Kyogoku - the series' director - at E3 last week. To start, Kyogoku went on to explain the inspiration behind Animal Crossing: Happy Home Designer. She says that in a typical Animal Crossing game, the designers must decide what kind of furniture and decorations will go into each animal's house. This is an enjoyable part of the development cycle and they wanted to share that experience with the fans of the series. In Animal Crossing, home creation and home decoration was an aspect of the game that a lot of people enjoyed. But that's only one part of living out your life in Animal Crossing. When we were developing Animal Crossing, we had to come up with ideas for houses that the animals have when they first move in to your town. They have a set of furniture and decorations they use. That was very fun for us as developers. We had to think about, what kind of things would this animal like? What kind of life do they lead? Trying to figure out what they'd want was very fun, and we tried to think of a way we could get this kind of experience to players as well. That's where the origins of this home-designing concept came from. In an effort to dispel concerns that Happy Home Designer will be a more linear game, Kyogoku said that the freeform and open-ended nature is still very much preserved here. While it may be that animals give you an idea of what they want in their home and what it should be themed like, this is really just a guideline and there's plenty of room for players to use their imagination and expand more on that theme. This is more of a simulation that's focused on house design or house creation. When you get a request — it might seem initially that you get a request from an animal, they give you a certain theme, you create a home based on that theme, you get a good evaluation, and that's the goal. But actually, the theme is just a guideline. The fun starts when you can expand on that theme using your own originality and creativity. In that sense I think the sense of freedom that you experience in Animal Crossing is still very present in Happy Home Designer. On the topic of furniture and how much will be available to the players, Kyogoku said that there will be a broad selection available from the start and more will be unlocked as you continue. Yes, that's correct. It's all available to you … Not every single furniture will be available in the beginning. Obviously, as you know, Animal Crossing has lots and lots of furniture. Having it all available might be too overwhelming at first. As you take on different requests, furniture that fits that request or theme will become available. We've designed it so that they become progressively available at a good pace. It won't overwhelm you, but it'll give you enough choices. On the subject of whether or not there'll be a budget for each house, Kyogoku confirmed that there will not be one. The development team spent a long time deciding whether or not to include a budget, but ultimately decided that they want the game to be centered around the player's creativity and a budget would put some restraints on that. No, we got rid of the idea of a budget. Whether to include one or not was something that we thought hard about and discussed amongst the development team. What we wanted to get out of this game was for the player to reflect their creativity in the game. We didn't want any constraints from budgeting to be an issue. In real life, depending on the budget you had, you might have to give up on some things you wanted to see. We didn't want that to happen in the game world as well. Player customization will still be featured, though the main character will always be in the Nook's Homes uniform. That being said, you'll still have the chance to visit houses that you've designed and to peek in on the lives of the animals that live there. This is one aspect where amiibo cards will come in, players will be able to scan cards to "invite" animals over to houses for parties. You can definitely customize the player character, as you were able to in New Leaf. You can change the face, the hair. You can make him look exactly like your character in New Leaf. You'll work for Nook's Homes. Because Nook's Homes has a dress code, you're always in uniform while you're working. However, in Happy Home Designer, you don't just make the houses. You can go visit any of the houses you've made and take a peek into the animals' lives. Not only can you just visit, but you can use Amiibo cards to invite other animals. For example, an animal might say, I want a room that's like a concert hall. I want to hold concerts there. Or they'd want a room that's really made for birthday parties, because they want to have birthday parties there. So you create the room and you can decide whose birthday party it's going to be. Who should they invite to the party? Once you have all the animals there, you can join in. Maybe you'll dress your character up and put a party hat on and enjoy the scenery. 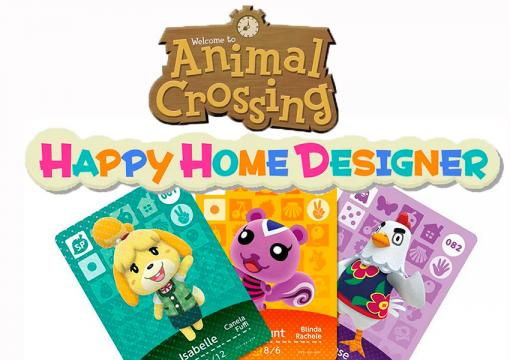 Though the game will be fully playable without amiibo, players will be able to scan them to "call" certain animals and ask to develop a home for them. Even characters who don't necessarily live in your town, such as K.K. slider or Tom Nook, will be available to build houses for. That's one of the functions of Amiibo, to be able to invite animals and create this scene where you can take a picture of a birthday party or a concert that's going on. That's one big aspect of the Amiibo function. To be sure, Happy Home Designer can be played without any Amiibo cards. The animals will hang around in front of Nook's Homes thinking, oh, I want a house like this. You'll talk to them and take on their requests and build their houses. But with the cards, you can reach out to animals in particular. You'll be making a call and saying, hey, would you be interested in building a house with us? For a lot of Animal Crossing fans, it'll be great to be able to reach out to their favorite animal at will and come to build a house for them. That's one feature. The second feature is, in the Animal Crossing series, there are two general types of animals. The ones that move into your town, they become residents, they become your neighbor, you develop a relationship with them. Then there are characters like Tom Nook or K.K. Slider who serve a special role in the game, but don't necessarily live in your town. Using Amiibo cards you're able to build a house for them as well, which is something new. On the topic of the amiibo focus of the upcoming games, Kyogoku said that the team really liked the idea of amiibo and tried to think of fun ways to include them into Animal Crossing games. The result was Animal Crossing Happy Home Designer and Animal Crossing amiibo Festival. This time around, there's obviously this new thing called Amiibo. The development team for Animal Crossing, we just really wanted Animal Crossing Amiibos. We thought it would be cute. We thought fans would be happy. 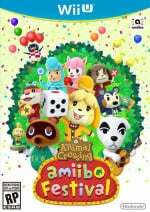 In the past, Animal Crossing has only been Animal Crossing, but we thought that with the addition of Amiibo — how could we make an Animal Crossing game that would be fun by adding Amiibo features? What resulted was Happy Home Designer on 3DS and Amiibo Festival on the Wii U. This was a way to try different ways of playing Animal Crossing. We kept thinking, this idea might be fun, that idea might be fun. Eventually we ended up with these two different games. Amiibos are really cool figures, but beyond that, the biggest difference is the way they're linked with gameplay. It's important that there's a game to go along with Amiibo. We felt like Amiibo could benefit from an Animal Crossing twist and Animal Crossing could really benefit from Amiibo as well. On the subject of the next traditional Animal Crossing, Kyogoku said a whole lot of words that really said nothing at all. Basically, it sounds like they're still spitballing ideas at this stage and there's nothing to announce, but it does seem like they're planning where to take the series next. Obviously, as you said, we're in full development for Happy Home Designer and Amiibo Festival. We've been focusing on that. When we think about Animal Crossing, including the main Animal Crossing series, as a development team we're always thinking about what to do for the next installment. Whether that'll be a cutout and an expansion of a certain feature or a full-blown Animal Crossing game, that hasn't been decided yet, but as a team we're constantly thinking about what we can do for the series in the future. What do you think? Are you looking forward to these upcoming Animal Crossing games? What would you like to see out of the next traditional Animal Crossing? Share your thoughts in the comments below. I'm really looking forward to HHD, and I think AC amiibo Festival looks great, but as a solitary player I'm not sure I'll be able to play it. Nintendo should have named these bits of plastic DLCbo instead. Once you get over the fact that these aren't your traditional Animal Crossing game you may find yourself starting to appreciate them for what they are and to me, that looks like a lot of fun! I love Animal Crossing and will take what I can get in order to return to the world of Animal Crossing, not too mention that I like the concept of Happy Home Designer in particular. Happy Home Designer seems more appealing now. And the amiibo card thing seems balanced, for the most part; you can track down cards of your favorite villagers and whatnot. No need to get them all if most /all villagers cycle in normally. @Sabef HA! that was a good one! "It's safe to say that fan reaction has been rather mixed towards the amiibo-centric focus of the two upcoming Animal Crossing games for Wii U and 3DS." That's a bit of understatement. I'd say it was easily the second most hated announcement coming from the Digital Event. Though I guess it does look "mixed" when you compare it to how much the #1 is hated. E3 kind of soured me on HHD but the details are warming me back up to it. The biggest problem I have with, especially home derringer is it's really something that should have been added to an actual animal crossing game. The message I get from it is that every idea for new content in animal crossing games is instead going to be stripped out and exploited with amiibos. It would be neat and much needed in an animal crossing game to have mini careers like home decorator, fashion designer, or hair dresser. I'd even buy this stuff as expansions but animal crossing desperately needs more things to do in it. I know I'll be having having fun with Happy Home Designer! One of the things I loved the most about Animal Crossing New Leaf, was designing my home. It gave me a great feeling to be able to relax in my in-game home after a hard day of work. A feeling 90% of games can't replicate for me. And that is one of the biggest reasons as to why I am going to be getting this game. Especially after finding out you don't truly need amiibo cards. That is just icing on the cake. I'll also probably end up trying out Animal Crossing Amiibo Festival too. I just hope the cards for the game aren't super expensive. I don't really want to spend a bunch of money on cards, and as much as I LOVE the new Animal Crossing Amiibo figurines, I'm trying to keep my collection relatively small. They are just so darn cute though! I wish they'd just stick with the gimmicks supporting gameplay instead of the gameplay supporting gimmicks. HHD looks okay and I can see some appeal in that, but Amiibo Festival is dull. Roll a die, land on a square, bonus or detract, one with the most happy points wins. ^Wow^ Mini-games may add some game value but seems to be one-player affairs where you press a button to stop a spinner or choose a card or something else really boring. You can import houses from HHD. Yeah and then what? It's a vehicle for introducing the mini-game apparently! ^Oh, such fun^ Can't pass this one up fast enough. Sure they might do something else in the last few months of development, but they are giving it away for free (with the amiibo) so guessing the quality will stay on a par with the price. The amiibo themselves do look good though. That's reasuring about HHD. The cards seem to be used if you want a certain character but outside that it seems a full game which is great. I wonder if it runs on real time or not. For once i hope not as i have so many games to complete lol! What direction would I like to see Animal Crossing go next? How about a cooking game; random fish will be dropped by your newly opened resturaunt and you have to cook them up to order. Want to practise a specific dish? By scanning one of the newly released fish amiibo you can procure the materials you so desperately desire and filet away! It's good that the cards aren't integral to the gameplay. However, neither of the games seem that amazing. I wonder if they would have put designing of Tom Nook and KK Slider's houses into normal gameplay as a hard to unlock bonus if amiibo's didn't exist. All I need is a GBA slot in my WiiU and my 3DS, then I can use the collection of eReader cards I have already bought for AC. Problems solved. I truly hope both these games fail like there's no tomorrow. Especially with how well New Leaf did, that should give them a proper indication of what the fans actually want. I for one won't be playing these mini-games. Now that nasty E3 taste is coming back up again, since I was mostly disappointed with AC Wii U being this cheap looking party board-game. I guess Happy Home Designer seems a bit more intriguing, but I doubt it'll stay fun for long just decorating homes. Now if this was an expansion of some sort to New Leaf, it would've been fantastic. @Jeff1pnt3 I am as well. @Sabef and name you stupido becuase its non disk, not DLC? Just give us an actual Animal Crossing game instead of all this nonsense. This game should be a FEATURE in the actual game. I'm sorry but these 2 animal crossing titles is just ridiculous and are simply cash grabs. Shame on you Nintendo. @Uberchu oh, I'm sorry. I thought you could DownLoad Content from an amiibo to a game console. Wow, am I bad. Unless this explodes into a trading card type of thing, we may see game stores re-selling used single character cards, but that means you'll be paying more than the normal price for individual cards. @Sabef well some stuff like mk8 is dlc, but not all of it. i mean you still gotta go get an amiibo after the dl but whatever. In Japan, there are several items/ bundles. 1) Just the retail game 2) Retail game and amiibo Reader/Writer 3) New 3DS XL with amiibo cards and digital copy 4) amiibo Reader/Writer seperately 5) amiibo cards seperately. The cards don't come with the basic retail game. Very true, I know Nintendo will roll them out with popular characters and not so popular ones so that they don't use up all the popular ones. I'm sure they'll even keep non-villager characters for later packs such as Kicks from the shoe store, etc. This is going to make them a TON of money and they know it, so I'm sure they've seriously considered their strategy. They could easily make coloured 10 card set packs (in waves with each colour pack having only new characters) so that everyone could get all the villagers they want, but blind packs will make them way more money. Imagine you buy 5 packs and end up with a double of a character you hate... It could happen. I'm somewhat excited for HHD, but only because I plan to buy a K.K. Slider amiibo, so it'll give me something to use it with. I'm so getting HHD now that I know amiibo cards aren't required! Can't wait! In all honesty, these games just can't win. If it's only the games, they're severely streamlined and limited compared to what we actually know as Animal Crossing. And if we take the amiibo features into account, it's a very weak argument to fork over money for card packs and figures that only work for these specific games so far. Unless they also announce an actual Animal Crossing game soon, these games will mark a critical lowpoint for the franchise. @Yorumi I can definitely agree to this idea - the very thought of opening your own shop to compete with Tom Nook is pretty exciting, and it would be lovely to be able to do such a thing! There are many workers in Animal Crossing, so asking them to teach you their profession would open up a lot of individuality for the game. @Yorumi A mash up of Animal Crossing and a jobs system like fantasy life would be really fun. If a proper AC was coming to the Wii U I would gladly buy these amiibos and cards. Not now, sorry. It's time to start voting with your wallets to send a message to Nintendo. It better not be a cutout or an expansion! And it better be a full Animal Crossing game! Anyway...deep breaths. Most everything I've seen of this game would be great to have in the next full game. With cards you could invite and (please) 'lock in' a villager/s you really wanted. If the AC:NX looks anything like the MK8 track that'd be amazing! Drago just moved into my village yesterday. He is AWESOME! @Yorumi - "The biggest problem I have with, especially home derringer is it's really something that should have been added to an actual animal crossing game." That's how I feel about Super Mario Maker. It's a level editor that should have been part of NSMBU2. Instead it's a $60 game. How is a level editor a $60 game? At least ACaF may have a free DL available for people who like collecting amiibo. And from what I've been reading on here more people collect them than play w/ them. I never hear people talk about what a great time they have playing w/ their amiibo. Codename STEAM and Splatoon have a few mentions. I know many people are very excited to pay $60 for SMM, but it's how just I feel. Maybe if I hadn't already played all those LBP games. I am getting both of those. A lot of you people were complaining about having a game strictly for Amiibos, we get an AC one and now you're complaining about it not being a full AC game. I can't wait to play the amiibo festival game with my kids and neither can they. Plus they are also excited about HHD too. i am a massive fan of the ac series. i love new leaf but i think in the next game having a different way to make money like having a job. and maybe you could choose what type of home you'd like ie a tree house/ cottage/ castle but youd still need to pay it off. n maybe allow the player to camp out too. I'm definitely most excited to finally get the base that will allow my Flame Red 3DS to make use of amiibo! They should add an update to New Leaf allowing people to scan Amiibo for free clothes or items based on each character.